Posted by Brittany Bosher on Monday, September 4th, 2017 at 12:51pm. 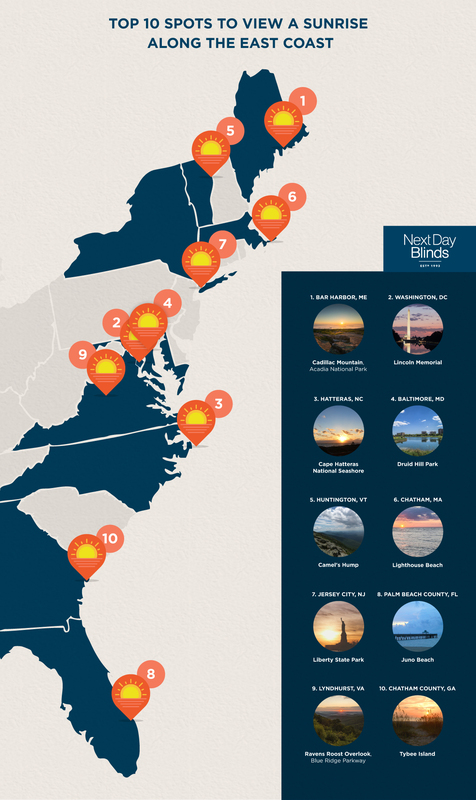 A list of the “Best Places to Watch A Sunrise on the East Coast” was curated by the blog and website Imgur.com. Imgur’s vision is to be the number one place for people to visit to see all of the best images on the Internet. They have collections of the most beautiful photos, works of art and wonders of the world all in one place. To ensure constantly new and exciting material to its audience, Imgur is always changing their images and focusing on what is most popular and highest quality. One of their recent collections of fabulous images paid homage to the beauty and wonder of sunrises. Imgur.com compiled a list of the 10 best cities to catch a sunrise and Juno Beach, Florida was on that list. This list was quite impressive and it was refreshing to see our humble beach town make the cut as it rivaled the striking sunrises over the Lincoln Memorial and the Statue of Liberty. It was not only the crystal clear skies changing from the inky blue of night into the pinks and oranges of dawn as the sun takes it place in the sky that made Juno Beach a top ten contender, but it was also the famous Juno Beach pier that is silhouetted as the sun creeps upward. Truly a site to see and a memory you will never forget that sheds a different and more beautiful light onto our gorgeous seaside town!